It has been 6 long weeks (the longest break ever) since I posted my last blog. Apology for the long absence away from my blog, I was too overwhelmed with work and new projects! Mostly, it was work, work and more work (tax was record high and bonus was terribly lousy this year). Nothing really special or remarkable happened. Over the past few weeks, I attended a lot of business dinners and a short weekend trip to Macau. The only heart-stopping moment was when my landlord sent me a notice to increase the rent. It is so good to be home. Time flies, my last home trip was more than 6 months ago (back in June last year to attend my late granny’s funeral). 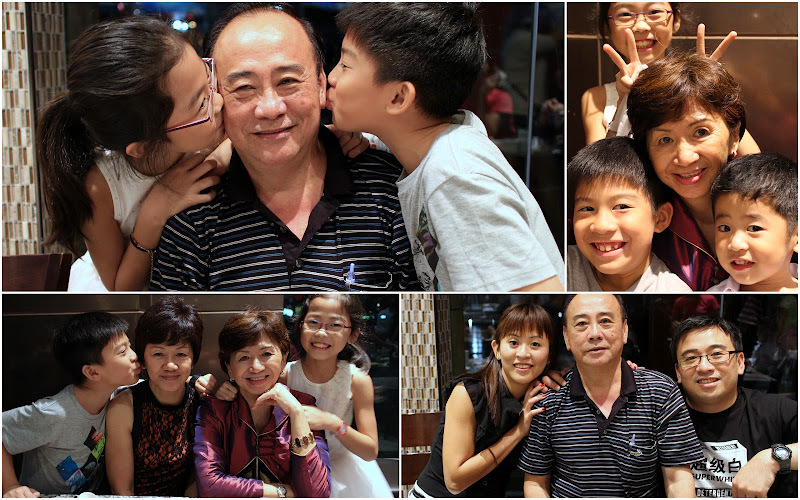 This year, my parents decided to spend CNY in Singapore. This is the biggest family reunion we had in years. Leon and his wife and baby flew back from Xiamen to spend CNY with the family. 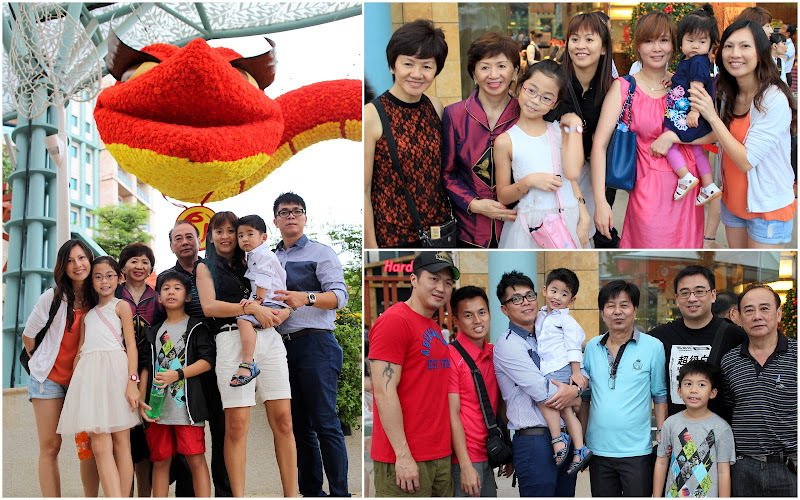 Instead of the traditional house-visiting, we spent the 1st and 2nd day of Lunar New Year together at Sentosa. The family booked 5 rooms at Festive Hotel. That saved us the hassle of traveling to visit each other’s house – our rooms were just meters away! We left the room doors open – the adults were chatting and eating from room to room. The kids loved it too – they were playing hide-&-seek and were running from room to room, spraying water guns all over the places. 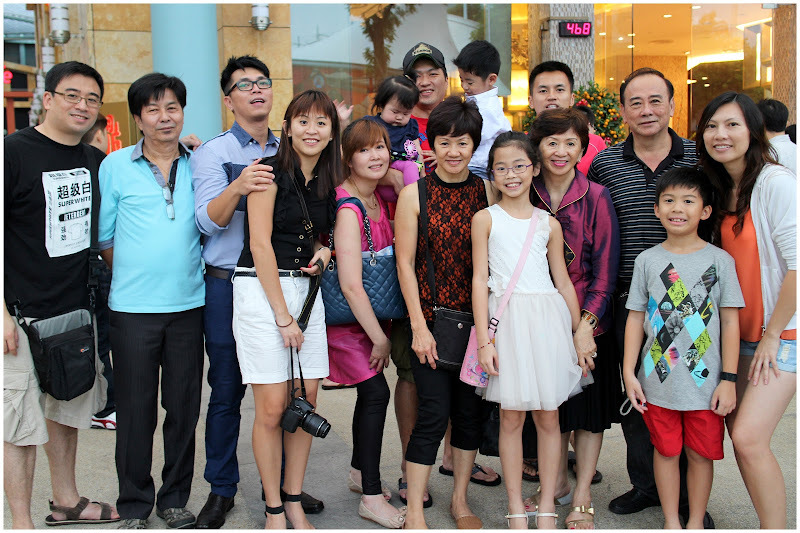 Apparently, there were other families like ours, spending their CNY Reunions at the hotel. There are so much things to do at Sentosa. 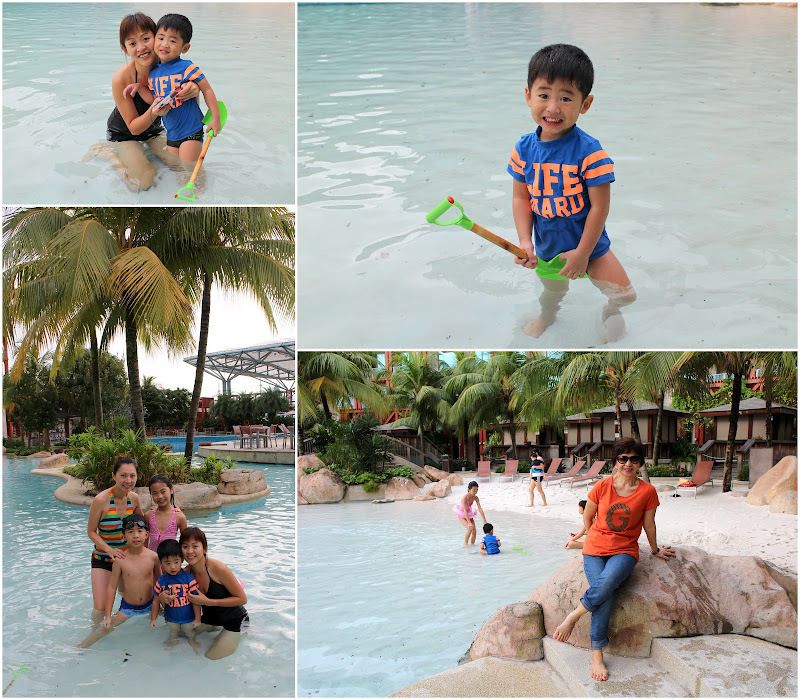 On the 2nd day, the kids went swimming at the Hardrock Hotel’s beach-pool. 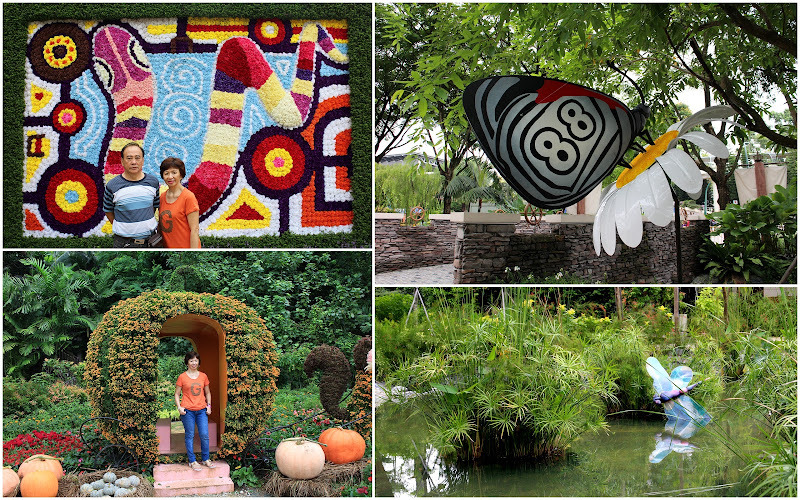 I accompanied dad and mum to visit the Sentosa Flower Festival. Sentosa was super-packed with people, there were long queues everywhere (hotels, casino, tram-stations, restaurants and tourist attractions). We have to wait for more than an hour for our CNY dinner. Despite the frequent downpour, many Singaporeans and tourists came to gamble on the first day. 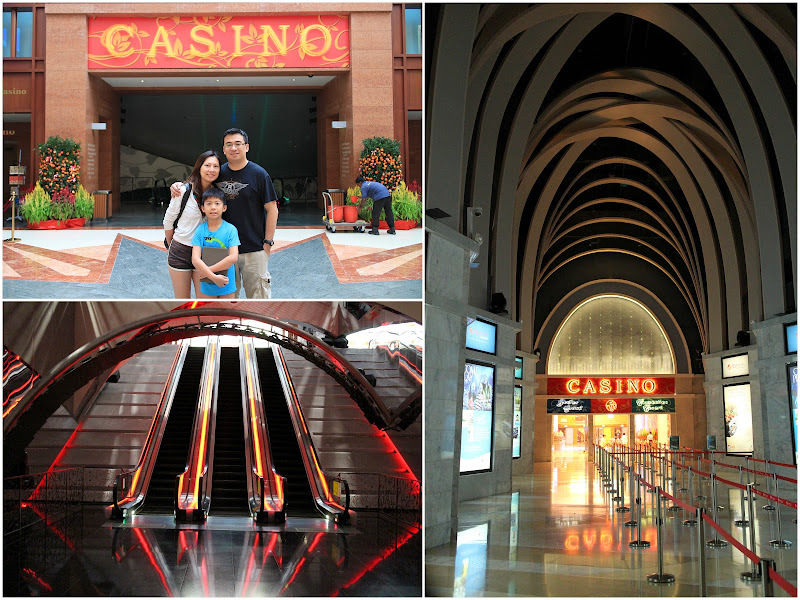 The casino was flooded with fortune-seekers who wanted to try their luck on the 1st day of CNY. Dad and I took less than 40 minutes to recover the $200 entry fees (for two of us) plus an additional $300 winnings. What a great way to start this CNY – bonding and winning!